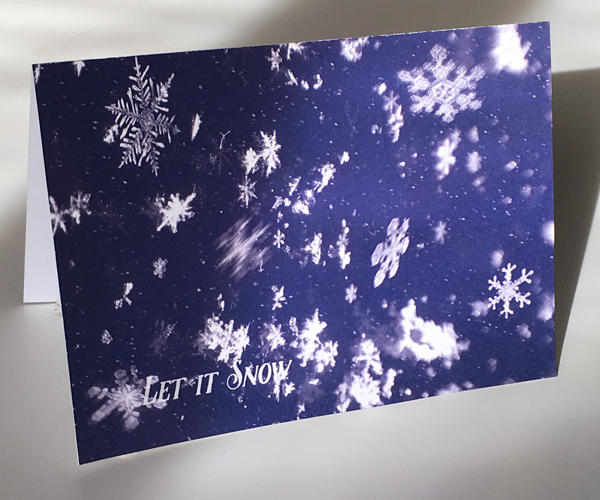 “Let It Snow” is a simple and versatile cover suitable for many DIY pop-up cards on this site. You can also simply use it on its own, as a holiday greeting card. The printable template comes in a wide or narrow version, so you can use it for a horizontal card like the restaurant gift card holder, or a vertical pop-up like these mountains. Both versions are included in your download.